Custom Beautiful UPDATED Solar home! New! New! 3 Bdrm, 2 bath.1530 sf.Open floor plan, high ceilings. Tri-level.ALL Newer Flooring. Remodeled closet, custom doors.Newer roof! 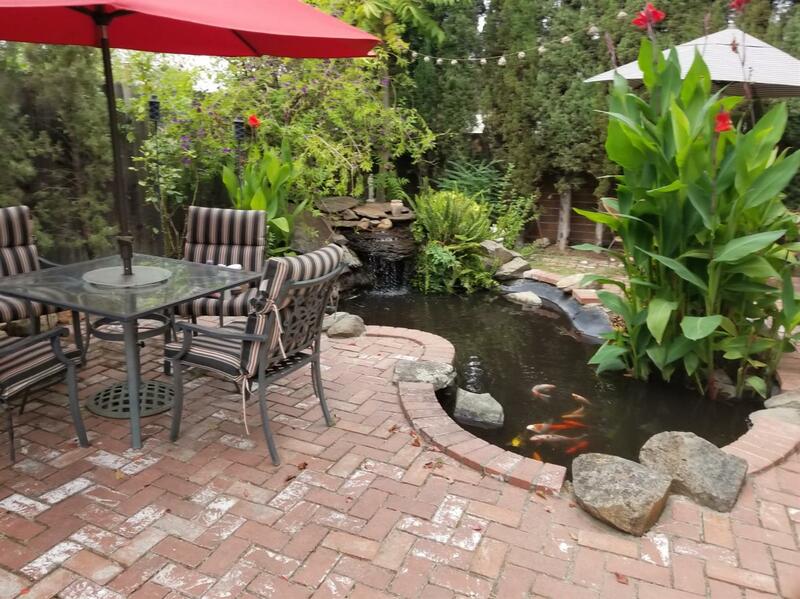 Wooden blinds throughout.Tankless H20.Private backyard with Koi pond/waterfall.Alarm & camera.Newer Whole house fan, Newer SS Applncs & Granite kitchen.Newer Big Chef's stove, large family room & bay window. All Newer lighting. Lrg stone fireplace.Near Mount View Park, shopping, bus.Professional sought after neighborhood!